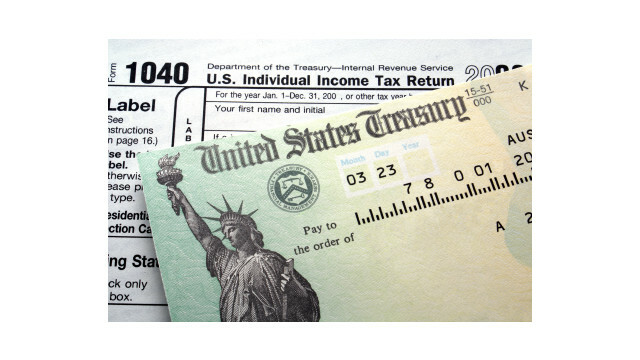 Tax season has begun, and millions of Americans are wondering when they might receive their income tax refund. That means they will likely be Googling it, or asking their tax pros. The tax reform law officially kicked in on January 1, 2018, but the taxes you file from January through April 15, 2019 will be the first time most taxpayers see the actual impact of the tax reform law. See the chart below for an estimated date for refund checks and electronic deposits. This is the question you probably came here for. First, with all of the major changes to the tax law, the tax season got off to a rocky start, which was complicated by the government shutdown. Still, the IRS started accepting returns in the last week of January. However, as with recent years, those with the Earned Income Tax Credit (EITC) or Additional Child Tax Credit (ACTC) will have refunds delayed until at least late February, since the IRS pays special attention to these credits, which have been abused in past years. This chart shows an estimated timeline for when a taxpayer is likely to receive their refund. If a return is delayed, use the “Where’s My Refund?”tool on the IRS website – Or download the IRS2Go app to check your refund status. * = IRS may delay tax filing season by one week or more due to changes in tax law. ** = Returns with EITC or CTC may have refunds delayed until late February to verify credits. *** = Filing during peak season can result in slightly longer waits. Will Refunds be Higher or Lower? For many, there may be no effect on their refund, particularly if they adjusted their tax withholding throughout the year. The average worker was forecast to see $1,000-$2,000 per year in tax savings (the higher amount for those with children). If you did not adjust the amount of taxes you have withheld from your paycheck, it could result in a larger refund. But for those who did make the adjustment, the result should have been about $20-$40 more per week in their paycheck. Many factors affect your tax rate and refund, so not all working taxpayers will realize the same results.